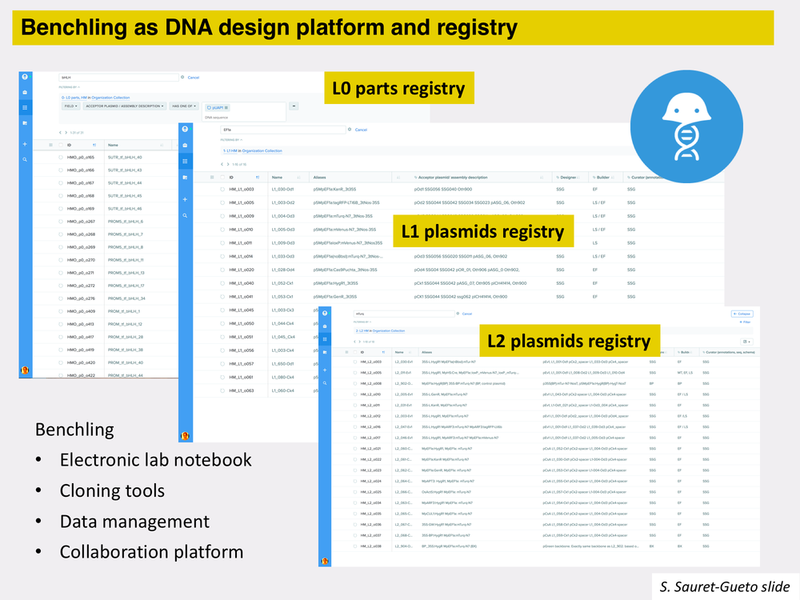 We are using Benchling as our electronic lab notebook, to edit and annotate plasmids, do assemblies and register the collection of constructs in standard ways using schemas with predefined fields. Susana Sauret-Gueto has established the registries, and associated schemas for the different types of Marchantia plasmids (L0, L1, L2), and she is curating the lab database. Linda Silvestre is taking care of the lab stocks. If you'd like to know more in order to establish a parallel system in your lab, please contact Susana. 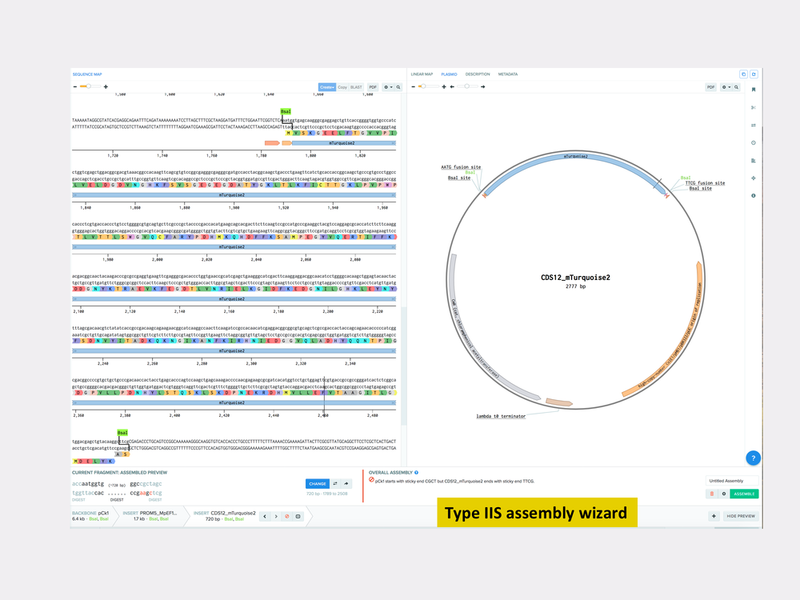 We will also use Benchling to put information on collections of registered parts into the public domain, and we will deposit the plasmids in Addgene, repository which will be implementing openMTA from summer 2018. We are considreing platforms that would allow integrating the experience/results of different users when using the collection of parts. If you have feedback around these topics, you are welcomed to contact us.